The below excerpt is taken from James Boice's commentary on The Gospel of John. He answers the question, why did Jesus enter Jerusalem as he did on Palm Sunday? "With the exception of the birth, death, and resurrection of Jesus Christ, no incident from his life is better known than his triumphal entry into Jerusalem on what has come to be known as Palm Sunday. Yet, few incidents from his life are more widely misunderstood. For whatever reason—whether the love of mere spectacle, the requirements of church liturgies, or just the misreading of the Gospel accounts—the entry of Jesus into Jerusalem on Palm Sunday has been regarded by many as a last public offer of himself as King to the people of Jerusalem. Up to this point he had avoided allowing himself to be thought of as a King, so the argument goes. But now, with the hostility of the leaders of the people building up against him and with the moment of his destiny rapidly closing in, Jesus makes one last attempt to gain a following. It is only when the Hosannas turn to demands for his crucifixion that Jesus abandons this plan and goes to Calvary. Unfortunately for this view, the Gospels tell us that Jesus had already offered himself to Israel as King once, early in his ministry (Matt. 4:17). He had been rejected. Now he entered Jerusalem with an entirely different purpose. 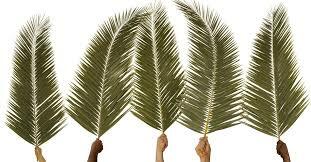 Why, then, did Jesus enter Jerusalem as he did on Palm Sunday? There are several answers to that question, the first of which is that he came to die. Here Mark’s account is most explicit, for he tells us that Jesus explained this to his disciples just two days earlier, that is, on the Friday preceding the Passover at which he was killed. “They were on their way up to Jerusalem, with Jesus leading the way, and the disciples were astonished, while those who followed were afraid. Again he took the Twelve aside and told them what was going to happen to him. ‘We are going up to Jerusalem,’ he said, ‘and the Son of Man will be betrayed to the chief priests and teachers of the law. They will condemn him to death and will hand him over to the Gentiles, who will mock him and spit on him, flog him and kill him. Three days later he will rise’ ” (Mark 10:32–34). Against this background it is certain that Jesus entered Jerusalem as he did, not to win over the people (the time for that had long passed) but rather to goad the Pharisees and chief priests into action and thus precipitate the events that he knew awaited him." The second reason why Jesus entered Jerusalem as he did was that he might fulfill Scripture. To us this may seem like an inverted way of doing things. We think that Jesus, as God, should be bound by nothing. But Jesus did consider himself bound by Scripture as an infallible expression of the will of the Father, as many other Scripture-led actions throughout his ministry also indicate. Thus, both Matthew and John refer to the prophecy of Zechariah in which was written, “Rejoice greatly, O Daughter of Zion! Shout, Daughter of Jerusalem! See, your king comes to you, righteous and having salvation, gentle and riding on a donkey, on a colt, the foal of a donkey” (Zech. 9:9). John tells us that the disciples did not understand this at the time but that they came to understand it later. To my way of thinking the most important reason why Jesus entered Jerusalem, particularly when he did, was to show himself to be our Passover. That is, he wanted to exhibit himself as our Passover Lamb who was to take away the sins of the world."